We all have stuff we don’t need or have space for, so why not fill the car boot and bring your family along for a fun morning and make room for new things! BBQ Breakfast, snacks and refreshments will be available! Book now for 50Dhs or 75Dhs on the day. 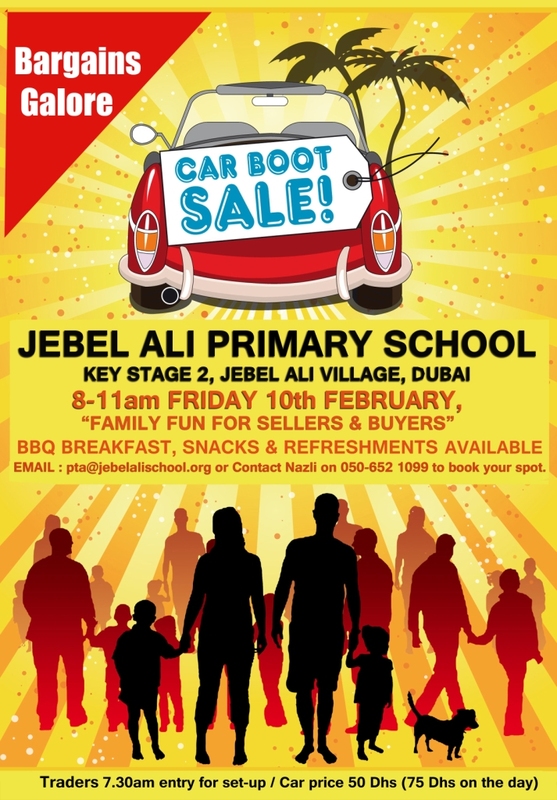 There are limited spaces available, so email pta@jebelalischool.org or call Nazli on +971 50 652 1099 to book your spot.